Martin Heidegger is to the highest extent a fundamental author. He belongs among those figures in the history of thought that are unavoidable. Many things can be omitted, considered optional, perused at leisure. But there is something that demands careful and thorough study. Without such study our notions [представления; notions, views, concepts, ideas; this term will be considered explicitly and in detail below; until then, it is usually translated as notions] about thinking, philosophy, [and] the history of culture will be defective, incomplete, fragmentary, and hence unreliable. Heidegger is indispensable for anyone who lives in today's world, in today's Russia, and tries at least somehow to ground the fact of his availability [наличия], presence [присутствия]. More often than not, of course, we do not have to speak of presence: after all, "presence" etymologically means "to be nearby the essence" [быть при сути; the word “суть” will later take on a special meaning; until the author effects that change explicitly, it will be translated as “essence”], but who now is "nearby the essence"? But maybe we can at least ponder over availability? Even he who raises a question about his availability but slightly cannot bypass Heidegger. It is impossible to think, and in particular to think about one's availability, about oneself, about the world, about life and death, without relying on one or another school of thought. If we do not ourselves know which philosophical system lies at the basis of our thinking, that does not mean that there is no such system. There surely is one: after all, our thoughts and notions are drawn from somewhere. If we attend carefully to the content of our own consciousness, take an approximate inventory of it, we can notice that one thing in it is from Plato, another from Aristotle, a third is consonant with Descartes' teaching, a fourth with Hegel's dialectic; some thoughts are taken from the arsenal of theology, some from Marxism; in some things the influence of Kant is apparent, and somewhere a fragment of Nietzscheism shines. The fact that philosophy does not reach us directly, not immediately, but through hundreds of half-anonymous echoes - in school, family, society, media, education, everyday conversations and disjointed consumer culture - changes nothing. It seems to us that we ourselves think, but such an illusion arises only from ignorance or a poor education. We need only begin to work on ourselves for it to become clear that we constantly quote, and more often than not those sources whose existence we do not surmise. For precisely that reason, any person who wishes to think honestly will begin with a determination of the authorities and reference-systems of thought in philosophy, science, art. A thinking person is always somewhat a philosopher. A philosopher always belongs to some school of thought: either he follows religious philosophy, or he is a Kantian, or a Hegelian, or a liberal, or a Marxist, or a Freudian, or a positivist, or a Nietzschean, or a structuralist, or a supporter of the "philosophy of life", or a solipsist, or an existentialist, or a materialist, or a Darwinist, etc. In very rare instances, a philosopher is capable of carrying out an interesting and original synthesis of different schools; and even more rarely, with gaps in the centuries, those thinkers appear who blaze new trails and actually open new horizons for the rest of humanity. These are great people, who mark the milestones of the thinking of all humanity; and it remembers them for centuries and honours them. He who understands the great [thinkers] and takes one of the possible philosophical positions secures for himself the status of a philosopher, a full-fledged thinking entity [существо]. And here is the most important honesty: one must in the first place bow before an authority (even if also with a "secret thought" of later overthrowing him) and think about oneself and the world in the inner hall of great ideas and theories. Those, too, who strive for originality at once and at any cost are not kept long in philosophy; their place is the market. Heidegger: Great or the Greatest? Among great thinkers, two places can be set aside for Heidegger, depending on how we look at him, to what degree we study him and how much we believe him. At a minimum, Heidegger is the greatest contemporary thinker, entering into the constellation of Europe's best thinkers from the pre-Socratics to our time. In this sense they call him the "prince of the philosophers". Even those whom his philosophy leaves indifferent or who disagree with it recognize his indisputable greatness. Heidegger is universally recognized as a great philosopher of world history. No one seriously contests this, but someone calmly passes by, relying on other trends in philosophy, while someone responds keenly to his message, using his terms ("Dasein", "existential", "Angst", etc.) and allowing himself to be carried away by his thoughts. A different, special, exclusive place in the history of philosophy that can be set aside for Heidegger should be recognized in the case that we fully trust Heidegger, immerse ourselves in his thinking, and make him our highest authority. In other words, Heidegger in the space of Heideggerianism will differ essentially from Heidegger in the average and conventional history of philosophy. In this case, Heidegger will be revealed not only as a great philosopher, on par with the other greats, but as the greatest of them all, occupying the place of the last prophet, concluding the development of the first stage of philosophy (from Anaximander to Nietzsche) and serving as the transition, the bridge to a new philosophy, which he only anticipates in his works. In that case, Heidegger is revealed as an eschatological figure, as the final interpreter and clarifier of the deepest and most enigmatic themes of world philosophy and the creator of a radically new thinking. In this case he can be viewed as a figure of the religious pantheon, as an "envoy of being itself", a prophesier and preparer of the greatest event, in which the old history of the European world will end and a new one, which has never been hitherto, will begin. It seems to me that the second approach is more productive for a true understanding of Heidegger (even if at some time, in the distant future, it will be revised). It allows for full and complete immersion into Heidegger's thinking, without hurried attempts at interpreting him through appeals to other authorities (and to their separate traces in our consciousness) and allows Heidegger to communicate to us without hindrance what he intended to communicate. And only after accepting this message in its main features and believing in its significance and inevitability can one, if need be, take a certain distance in regards to it. It is hardly necessary for everyone to become a Heideggerean for all time, but this thinker very exactly deserves that one dedicate significant intellectual time to him, enough to be able to say, with a light note of apprehension in one's voice, "it seems that I understanding something in him". For someone this will take years; for someone else, decades. Someone will slip in his first steps. But the experience is worth it. Studying Heidegger, we study philosophy in its contemporary state. It is precisely of such a kind, and there is nothing to oppose to it. Heidegger is important not only for professional philosophers - for them he is simply indispensable: a contemporary philosopher who does not know Heidegger looks ridiculous. But he is meaningful also for those people who aspire to a minimal competence in questions of culture: for humanists, politicians, artists, psychologists, sociologists; all who by the call of the heart or the obligation of fate have a relation to the fate of man, humanity, society and history. Heidegger's legacy in the Russian-speaking context is a profoundly peculiar phenomenon. First, the labours and ideas of the philosopher, his intellectual and paradigmatic positions, were carried off in the Soviet period into the most dangerous and unacceptable ideological compartments, placed in the most distant and closed sections of Special Collections and in the last analysis were imputed to be “as it were non-existent”. Interest in Heidegger was looked at as a gnoseological crime or absolutely futile pursuit. Little attention was paid even to a criticism of Heidegger's ideas. Thus, Heidegger, as also many other non-Marxist philosophers, was closed to late-Soviet (to say nothing of early-Soviet) philosophy. He was read, translated and discussed "underground", which left traces on the quality of these readings, translations and discussions. Nevertheless, a group of Soviet philosophers, who won back the right to engage in critical readings of Heidegger, led by the late V. V. Bibikhin, the founder of the late-Soviet Heideggerean school, did come together, and out of this small circle came the majority of extant translations, many of which were made still in the Soviet era and circulated in the samizdat. Without doubting the sincerity of these enthusiasts, we should notice that their translation work and degree of penetration into Heidegger proved entirely unsatisfactory. 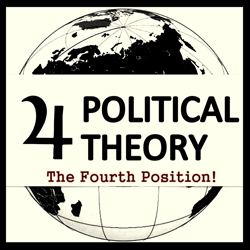 The difficulty of the ideological conditions, limited access to sources, the specificity of their philosophical education, limitations of philosophical knowledge, and, in general, the inadequacy of the late-Soviet social space for the expanse of Heidegger's thinking are responsible for the fact that we can without regret say goodbye to the intellectual tracts produced by this circle, if we do not want to struggle forever with the chimeras of a historical epoch so nihilous that in some ways it cannot come to an end up to the present day. It appears that Bibikhin and his circle of like-minded thinkers were in fact vehemently captivated by Heidegger, but besides this vehemence, there is nothing in the translations or expositions of Heidegger. It is entirely impossible to read them, since these texts communicate very much about the states, efforts and sufferings of Bibikhin himself and his colleague-translators, but say practically nothing, besides accidental coincidences, about Heidegger, or give such a picture as stands one's hairs on end. If we accept these texts as a correct translation of Heidegger, then we will have to admit rather quickly, with regret, that Heidegger himself did not understand what he was saying and writing. The second circumstance connected with Heidegger’s peculiar legacy in the Russian-speaking context consists in the fact that Heidegger is a fundamental link of precisely Western-European philosophy and corresponds in [his] inner logic to precisely its development. Therefore he is on the whole intelligible to the Western European philosopher, who orients himself freely in the taxonomy of ideas and theories of Western European culture. To understand Heidegger, one must be, at a minimum, a European; as Heidegger himself constantly emphasizes that he thinks in Europe, of Europe and for Europe, understanding it as a particular historical-philosophical and civilizational whole. Dogmatic Marxism and the Russian intellectual milieu, which was greatly confused both in the last decade of the USSR and today, intersect with the main development of Western European humanity in a very fragmentary, episodic and tangential way. We think of ourselves as Europeans, and we resemble them in some things (external appearance, phenotype, language, religion, socio-political system, etc.). But philosophy highlights differences: thought is that domain where it is most difficult to deceive or manipulate the state of affairs, and in this sphere there is exceedingly little in us of the Western European. If it is there, then it is like a caricature. But most likely we are dealing with a peculiar kind of Russian thinking, still weakly cognized by us ourselves; to say nothing now of the peculiarities of other cultures. In some sense Heidegger's philosophy comprises the quintessence of Western thought: it is deeper, more central and at the same time more Western than in the case of other European thinkers whom it is simpler to break through to (although also not simple). A calm, measured and accurate reading of Heidegger, with the preservation of one's own dignity - this, perhaps, is the most serious test for a Russian-European dialogue. 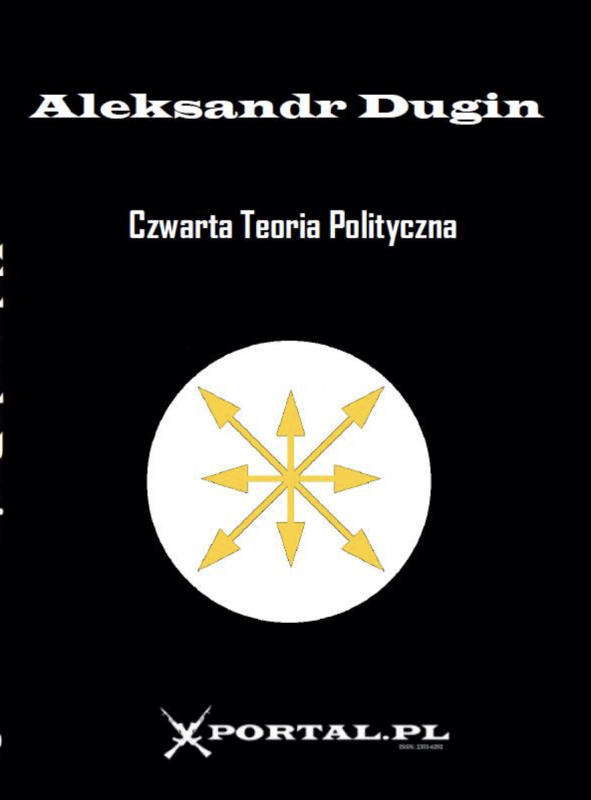 in the elaboration of a new meta-language for a new philosophy, which will be built on the basis of words that prophesy [вещающих] about being, differing radically in trajectory from the communication of previous philosophical discourse. The level of the Heideggerean texts demands great efforts even from a full-fledged European philosopher (in general, from a thinking European) and presents significant difficulty for German-speaking readers. But it presents even greater difficulty for the bearers of other European languages. The question of the correct interpretation and adequate translations of Heidegger was settled in European philosophy through the entire 20th century, which gave rise to a kind of "Heideggerean dictionary", with which philosophers operate with the assistance of a range of translations, each nuance of which presents a theme for separate discussions. Not only philosophers, but also philologists, historians, scholars of antiquity, and psychologists are involved in understanding and translating Heidegger, as the difficulty of understanding Heidegger is not a technical problem, but a question of the choice of a radical turn on the path of Western philosophy, to which Heidegger summoned. Translating, interpreting and commenting on Heidegger, Europeans participate in this turn. Complexities arise in the translation of his texts into French or English not less than in their translation into Russian, but for almost a century the best minds of Europe have struggled with this problem, starting with those who read and tried to understand him in the original as one of the firsts (for instance, Jean-Paul Sarte, obliged in much to early Heidegger, including also in the name of his philosophy, "existentialism"). A Nietzschean diagnosis of the humanistic sickness of Europe and the necessity of a "new heroism", etc. In the 1930s and 1940s, Heidegger openly criticized those aspects of National-Socialism that he considered erroneous from the point of view of his philosophy. In the book "Introduction to Metaphysics" in particular, Heidegger wrote, "That which is today thrown onto the market in the form of the philosophy of National-Socialism has no relation to the truth and greatness of that movement, associated with the comprehension of the connections and correspondences between contemporary humanity and globally determining technique, and fishes in the muddy waters of "values" and "totalities". It should be mentioned that the term "National-Socialism" emerged in Germany for the designation of one of the schools of "Conservative-Revolutionary" thought long before Hitler came to power and particularly before the formulation of Nazism as an ideology. Only afterwards was it usurped by the racist theoreticians of Hitler's circle. It is evident that Heidegger thought National-Socialism through the Conservative-Revolutionary ideas of Ernst Junger’s policy work, "The Worker". In it, National-Socialism is presented as contemporary Western European humanity's answer to the challenge of the epoch of modernity, [the answer] consisting in the paradoxical liberation, through the dominance of technique, of the "bottom-dwelling", the "elemental", titanic grounds of the human entity. According to E. Junger, in the mechanical grinder of modern-day war, with gas attacks and the grinding of caterpillar tanks, the European of the 20th century, swiftly losing his evaporating cultural legacy, was returning heroically, despite everything, to basic human impulses, consisting in the vivid experience of ties with comrades ("front-line socialism") and a sharp sense of the nation as a project directed to the future ("nationalism"). The "national-socialism" and "total mobilization" of E. Junger appealed to the existential roots of the European on the opposite side of petty xenophobia, chauvinism and especially any kind of racism. Such national socialism was sooner European than German, sooner humanist than statist, sooner existential than totalitarian and ideological. Heidegger considered Junger's ideas entirely adequate and supposed at first that national-socialism was capable of evolving in the direction of the "Conservative Revolution". Having at first exerted tremendous influence over the whole "Third Way" movement in Germany in the 1920s, Junger's national-socialism gradually entered into a harsh conflict with the official dogmas of Nazism, lost itself, and was eclipsed in comparison with the much less intellectual, but incomparably more large-scale (including in its criminal consequences) Hitlerism, which triumphed in Germany in the 1930s and which appropriated the name of this school of thought, distorted it and, for a long time, if not forever, stained it. That same fate befell also the ideological legacy of other representatives of the European Conservative-Revolutionary movement. From the 1920s, Germany's "right-wing" and "left-wing" intellectuals - from Thomas Mann to Oswald Spengler, from Heinrich von Gleichen to the communists Wolffheim and Laufenberg, from Arthur Moeller van den Bruck to Carl Schmitt, from Ernst Niekisch to Harro Schulze-Boysen - searched for new paradigmatic, philosophical and political horizons beyond the limits of liberalism, dogmatic communism and the old, narrow conservative tradition. They actively experimented with the riskiest combinations of tradition and revolution, historical constants and innovative technologies, religious values and progressive social theories. Far from any kind of dogmatism, they elaborated many original teachings, theories and philosophical conceptions. But the tragedy of their situation consists in the fact that in the sphere of big politics, this entire broad spectrum of pursuits, revelations and intuitions began to be strongly associated with Hitler's totalitarian regime after the victory of NSDAP in 1933. And although all these thinkers gradually proved to be opposed to Hitler's regime - from "internal emigration" (the brothers F. and E. Junger, M. Heidegger, C. Schmitt) to direct participation in anti-fascist activities and in the resistance movement (E. Niekisch, Harro Schulze-Boysen and others) - the complex of their views was for a long time taboo in the political thinking of the West because of the superficial and deceptive resemblance of their views to the political declarations of the epoch of the Third Reich. Heidegger's formal collaboration with the Nazis did not last long, when he fulfilled his duties as the rector of the University of Freiburg and was forced to submit to some decrees of the official leadership. It is significant that Heidegger was, probably, the only cultural actor of such calibre (if his calibre is at all comparable to anyone else’s), who did not once repent of his past after 1945. Heidegger was simply silent, and since in his philosophy silence has the fundamental significance of one of the dialectics in which being speaks of itself, then we can interpret this "Heidegger’s silence" in various ways (as, by the way, with all other aspects of his work), but certainly philosophically. Thanks to the fact that from 1920 to 1940 Heidegger exerted a decisive influence on many outstanding intellectuals who found themselves in 1945 in the camp of victors (from the Freudian-Marxist Herbert Marcuse and the communist Sarte to Heidegger's former student and lover, Hannah Arendt, who strongly criticized all forms of totalitarianism and emigrated to the USA, where she made a brilliant academic career for heself), in the general philosophical context the episode of collaboration with Hitler's regime, and even the much later "silence" of the philosopher, was politely forgotten (despite the fact that the period from 1933 to 1945 was one of the most productive in Heidegger's philosophical activity). No one besides a few superficial troublemakers (like Victor Farias and those like him) touched upon this theme anymore. Heidegger means too much for the West to throw him away, even in the event that his deeds went beyond the accepted norms of common morals. Geniuses are forgiven by everyone. It is evident that both for the USSR and for contemporary liberal-democratic Russia these political details of Martin Heidegger's personal fate did not contribute to his adequate understanding and encouraged a notorious bias and selectivity concerning his ideas and texts (in the first place, those of the 1930s and 1940s). Owing to all of these circumstances, Heidegger is for us today an almost unknown greatness. If there is something sane in that which was written about him in Russian or in how he was translated, then this is, most likely, an accidental coincidence or lucky imitation. Russians are very successful in imitation: we can often easily reproduce what we do not at all understand and what remains inwardly alien for us. In this is the plasticity of our culture. But even the automatic, mechanical translation of Heidegger's texts into Russian can in rare cases produce an amusing result. There are such successes among Russian Heideggereans. But since without a preliminary comprehension of Heidegger either in the original or through adequate translations into European languages it is impossible to distinguish success from failure, it would be more useful to put before oneself the task of building everything from scratch. Builders know that it is more expensive, takes longer and raises additional problems to rebuild a broken-down building than to demolish the old and erect a new edifice from scratch. That is what is being offered to those who have taken an interest, accidentally or consciously, in the figure and philosophy of the greatest of thinking people, Martin Heidegger. And so, inasmuch as we do not know Heidegger, I propose to carry out a journey in the direction of Heidegger, to attempt to draw nearer to him, similar to the way Yevgeny Golovin (incidentally, one of the first and most profound experts on Martin Heidegger in Russia) proposed to "draw near to the Snow Queen". Heidegger, as we already mentioned, thinks and presents himself exclusively in the stream and within the framework of Western European philosophy. This observation is exceedingly important for the precise determination of the position of Heideggerean thought. However great the temptation might be to consider Heidegger the religious type (as many of his researchers do), however much the parallel between Heidegger and the traditionalists with their criticism of contemporary Western civilization might suggest itself, we should set aside as much as possible similar comparisons and at first familiarize ourselves with Heidegger in that context to which he belonged and wanted to belong and in which he himself comprehended his place and significance. Heidegger is a philosopher; more precisely, a Western European philosopher, in charge of the entire legacy of Western European ontology and metaphysics, formed by it, perfectly well oriented in it, and familiar with its most minute nuances. His whole life Heidegger tried to stay within the framework of the axioms of Western European philosophy, even when he had the aim of exploding, transforming and subverting these axioms. With German pedantry, he proceeds from the moment that is conventionally thought of as the Beginning of Western European philosophy, i.e. from the Pre-Socratics, to that which is conventionally (or a little less strictly conventionally) thought of as its End; i.e. to Nietzsche. Heidegger sees his own place in this chain as the epitomic moment for all Western philosophy; thus all these stages are intelligible to him: each of them is broken up into an entire spectrum of significant details and says much to the philosopher. Anaximander, Heraclitus and Parmenides are a resplendent trio of bearers of pre-Socratic thought; Plato and Aristotle are the highest peak of Greek thought and the originators of all subsequent European philosophy and culture. Heidegger considers the Middle Ages and Catholic Scholasticism only an episode, and the metaphysics of Modernity (from Descartes through Kant, Leibniz, Schelling, Fichte, Goethe and Hegel up to Nietzsche and Bergson) the continuation to its final logical limits of that which the Greeks began. With a certain approximation, Heidegger's philosophy can be likened to the funeral speeches of a pastor at a burial: "The deceased was a very good man; he helped the poor; in his childhood, he did not treat those younger than him badly; he lived a worthy life, laboured much and then died; a blessed memory to him." And afterwards the pastor begins to go over the episodes of the life of the deceased in details ("he studied, married, divorced, fell ill, changed careers, retired, fell ill again..."). Heidegger's philosophy is a unfolded requiem for Western European philosophy, based on the presumption that "something was", "something began", and "something ended", "was completed", "died" (we will still come to the question of what "the beginning" signifies for Heidegger, what "something was" means - "being" is for him altogether the main concept - and what it means that "what was is no longer". Heidegger proposes to turn to Western European philosophy, first, as to that which was, and second, as to that which is no longer, inasmuch as that which is now is not Western European philosophy. According to Heidegger, the latter ends with Nietzsche. Heidegger himself stands on the border, on the line. It is from this very sepulchral precipice [обрыв] (Abgrund) that Heidegger leads his narration, dedicated to that which has died. Here it would be incorrect to mix in religion, traditionalism or mysticism. For Heidegger, only philosophy is of decisive importance, only its processes and curves, its stations and postulates, its heights and descents are of interest. In this is his peculiar asceticism: in order to cope with the very profound crisis of contemporary nihilism, Heidegger does not seek points of support in exotic cults, in initiation, or in secret doctrines. He courageously takes upon himself the responsibility for the fate of all Western European thinking in its most Western, logos-based aspects, for which one cannot find analogues in other cultures and which comprises the essence [сущность] and fate of precisely Western civilization. Translate (looking for Russian matches in words, capable of transmitting the meaning). The reading of Heidegger must become for us a road to our own Russian language as a language of thought, a language of philosophy. This puts before us a serious problem. The thing is that if we have a good look at the area of diffusion of Indo-European languages, we shall see that each large linguistic group has its own philosophical systems with a more or less developed apparatus, based on the disclosure of the philosophical significance of the basic words of this language, either entirely or in part interspersed with the borrowing of concepts from close languages. This is also the case with European culture, where there are three basic linguistic groups: Greek (including the language of the beginning of philosophy), Latin (in which besides Latin enter the French, Spanish, Italian, Romanian and other languages), and Germanic. All three groups have a settled philosophical language, with a long-standing tradition of the translation of the basic meanings. Heidegger breaks this norm [and] proposes to introduce new meanings, while listening attentively to the roots of words. At the same time, the work of "breaking” the philosophical meta-language comprises the lion's share of his texts; dedicated to the European philosophical tradition, native for and intelligible to Heidegger. This continent of European meanings, with three linguistic bases, is not something self-evident for us today. We learn Latin and Greek well more and more rarely; [and] it is not a fact that we have sufficiently mastered contemporary European languages (at least German and French). But this would not be fatal if we had at least the sketch of a Russian philosophical language. Drawing a parallel with European meanings, we would break the old significations together with Heidegger, understanding what we are doing, what we are breaking, and would build the new together with him, following the trajectory of wreckage and enriching the new undertaking with a treasury of Russian roots. Thus in principle should we act, but with the exception that we have nothing to break, since our culture has not worked out a settled meta-language of Russian philosophy with conventional translations of European meanings. This produces certain problems. In order to reject European metaphysics with Heidegger, we must understand it correctly and unambiguously. Otherwise, we will not understand the meaning or scale of his philosophizing. This is a serious obstacle. Before we outline a way out of such a position, we shall consider how the matter stands with other Indo-European cultures: do they have their own meta-language of philosophy? In the case of Indo-European Iran, there is an extensive tradition of a specific language of philosophy, where properly Persian roots are combined with a gigantic reservoir of Arabic terminology, introduced in the course of Islamization. The French philosopher and historian of religion Henri Corbin (whose work the first translations into French of fragments of Heidegger's main book "Sein und Zeit" were) in his numerous and documented works showed the breadth and specific character of Iranian thinking, with its specific meta-language, its own meanings and its particular linguistic and hermeneutic rules and practices. Corbin gives us a moving and extensive presentation of "Res Iranica", of "the Iranian thing". Heidegger did almost the same thing concerning "Res Europea". Yet another Indo-European culture, name the Hindu, also possesses an extremely developed and honed philosophical apparatus, based on Sanskrit. At the same time, Sanskrit can be considered as a kind of meta-language of the Vedanta and Vedantic cycle, while a school like the Hindu Mimamsa represents a separate domain in the framework of the Hindu religion, set aside for the systematization of Sanskrit sounds, letters and roots, their combinations, etc. Among Indo-European cultures, only the Slavic world, not second in its socio-political, demographic, territorial and historical parameters to the other great narodi [the notion of a narod, народ, plays an important role in the author’s thought and has hence been transliterated, rather than rendered with the usual and imprecise translations “peoples” or “nation”. If one thinks of a “people” as distinct from a demos and a nation as distinct from a nation-state, one will have a preliminary sense of the meaning of the word; in the author’s glossary, it is given as an equivalent of the German Volk] of Indo-European descent, does not have its own philosophical meta-language, which would be something settled and composed, unambiguous and comprehensible for everybody who thinks in Russian. This forces us to ponder over the meaning of such an anomaly: why does the certainly existing Russian thing (Res Russica) just as certainly lack its own logos? Efforts to fill this gap were undertaken by the Slavophiles, who looked for a Russian logos, and the Westernists, who attempted to artificially transfer the European logos onto Russian cultural soil. Their endeavours should be appreciated, but as a result of the Bolshevik revolution they were nullified; and "Russia the philosophical" again entered into a zone of twilight consciousness, as in many previous periods of its history, when it had whatever you please, besides full-fledged and adequate philosophical thought. I will risk suggesting that, among all Indo-European cultural zones, the Russian zone stands "fallow" not by accident and not because of our deficiency and backwardness. In other matters (statehood, economy, technology, science, military power) we are entirely adequate. It is simply that Russians awaited the moment when the time would come to produce a new philosophy, while we rejected the old European metaphysics, which was stubbornly imposed [on us] from the West, not through foolishness, but expressly, not wishing to participate in it, guarding and preserving ourselves for something more interesting and important, for something more fundamental. If this suspicion is accurate, then we have awaited our hour: the old European metaphysics has collapsed, and the most profound, serious and responsible of the European thinkers, having attested to this fact, call upon [us] to think radically differently. Perhaps it is the very time to take part in the process of real philosophizing and to unseal the virgin treasure of Slavic, Russian speech for the creation of new meanings and new intellectual horizons, based on newly interpreted [or “comprehended”] Russian antiquity. Perhaps we stood "fallow" precisely in the presentiment and expectation of exactly such a turn of the world history of thought. Clearly recognizing his identity as a European and European thinker, Heidegger, as also, incidentally, all Europeans, does not doubt that the path of the West, its "evening path", expresses the universal trajectory of being, which all narodi and cultures follow, but where Europeans go first; and, thus, they are first not only to descend into the night, but also to see the daybreak. Heidegger says: "Today the whole planet has become European (Western) ... By 'European' (Western) we must understand not geography and not extension of influence, but history and the primordiality of the historical in it". By "history" Heidegger means Western history; i.e., the history of Western philosophy as the quintessence of history, and he supposes its most important moment "the beginning", the epoch of the emergence of philosophical thought in Greece. The equating of Western European culture to universal [culture] reflects a "cultural racism", common for people of the West, which was in full measure characteristic for Heidegger, too. However, to his credit, we must say: he himself never erred, believing that the West carries others not "progress" and "development", but nihilism, "wilderness", "oblivion of the question of being", decomposition and death (all the charms of night). The contemporary West is universal, but in the way that decomposition and death are universal. Heidegger saw the most profound form of this degeneracy in "Americanism", which he thought of as "planetarism" (today we would say "globalism" and "globalization"). “Planetarism is the inversion of the beginning (of Western philosophy) into the beinglessness of its development”. At the origins of its evening path the West still illumined the world for other cultures with the rays of the setting sun. In the last epoch, "Americanism", "pragmatism", "technique", and "calculation" carry mankind only putrefaction. But in this putrefaction, perversion and nihility of the contemporary West, Heidegger saw meaning and universal significance. Being a thinker of the West, Heidegger thinks eveningly; even more than eveningly - nocturnally. He sees his mission in summarizing the whole Western philosophical tradition. In some sense his books are the last thing that can be said in the "evening language". Heidegger's language is not the language of Heidegger as an individual; it is the final chord of the Western European language. Heidegger is the last point of Western European thinking. He and his philosophy are not a particular case; they are destiny, fate (in the sense of the fulfilment of the afore-spoken). “At the beginning of language lies a poem", Heidegger says. At the end of language lies the philosophy of Martin Heidegger. And it wants to become the beginning of a new language, a presage of the language of the morning. Heidegger thought that in the last centuries, Germans, among all other Europeans, starting with Goethe, Leibniz, Kant, the Romantics, Schelling, Fichte, Hegel and up to Nietzsche, were responsible for the world (he calls "world", die Welt, the totality of beings in the whole - das Seiende im Ganze). From the ancient Greeks he traces a direct line to German classical philosophy, and further to himself. Heidegger M. Einführung in die Metaphysik. Tübingen, 1953. pg. 202. First published in 1935.
from the official party organs and gradual marginalization in the framework of the regime. Farias V. Heidegger and Nazism. Philadelphia: Temple University Press, 1989. Golovin, Y. An Approach to the Snow Queen. M., 2003. Guenon separately, and Heidegger separately. And then - only then! - should we think about in what they overlap (and in what they differ). It is incorrect to interpret one from the other. In my opinion, J. Evola in his "Ride the Tiger" (M. 2005) made the mistake of too hurried and superficial an interpretation of Heidegger from traditionalist (generalized, Guenonist) positions, where he presents exceedingly wrongly and in a distorted manner Heidegger's ideas and terminology, and even less soundly, and even naively, criticizes them. "precipice", "abrupt vertical decline", "chasm". Nietzsche called one of his works "We Philologists" (Nietzsche F. Collected Works. V. 3 T. 3. M: REFL, 1994). The reading of Heidegger's philosophy is a matter precisely for "philologists" in the Nietzschean sense. Corbin H. The Light of Glory and the Holy Grail. Shiite Literature of the Grail. Sufism and Sophia. The Musical Feeling of Islamic Religion. http://www,fatuma.net/corbin/corbin00.htm. Also by Corbin: The Man of Light in Iranian Sufism. // The Magical Mountain. 1998. No 1; History and Persian Mysticism. The Prophetic Philosophy and Metaphysics of Being. M., 1985.
and the sacred book of the Muslims, the Koran. Tocharians, Scythians, Sarmatians. It is possible that the reconstruction of their philosophical message still awaits its hour. V. V. Kolesov has a brilliant work on the roots and meaning of ancient Russian words and their evolution (V. V.
 Heidegger M. Geschichte des Seyns (1938/1940). Gesamtausgabe. Bd. 69. Frankfurt am Mein: Vittorio Klosterman, 1998. pg. 6. Heidegger M. Uber den Anfang. Gesamtausgabe. Bd. 70. Frankfurt am Mein: Vittorio Klosterman, 2005. pg. 107.
far from historical meaninglessness?" is purely rhetorical; of course, "European humanity carries in itself the absolute idea"
likewise. Implicitly or explicitly, practically all the people of the West are sure of this. Heidegger M. Uber den Anfang. Op. cit. pg. 107.